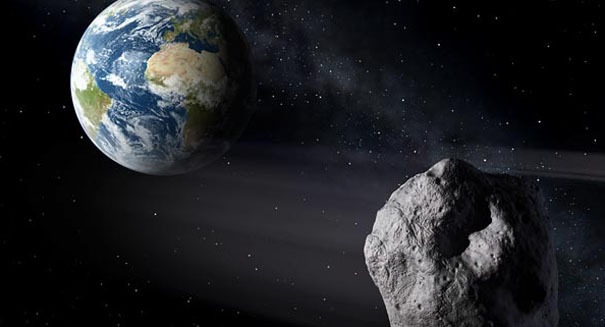 An asteroid that may be longer than a football field will get uncomfortably close to our planet soon, experts say. Scientists are keeping a close eye on an asteroid of significant size that will pass quite close the Earth soon. Asteroid 2010 WC9, which was first detected back on Nov. 30, 2010 by the Catalina Sky Survey in Arizona, is back for another visit, and it will be passing at an incredible close distance of about half the distance the moon is from us. When it was first spotted back in 2010, astronomers were not able to predict when it might be back because of unclear data on its orbit. But on May 8, eight years later, astronomers spotted the asteroid again and identified it as long-lost 2010 WC9. It will be closest to Earth at 6:05 p.m. Eastern time on May 15, when it will be just 126,000 miles from Earth. The asteroid will blast past Earth at an incredible 28,000 miles per hour, and it will be between 60 and 130 meters. That would make it likely bigger than the Chelyabinsk meteor, which was about 65 feet long (only about 20 meters) and damaged thousands of buildings when it struck the city back in 2013. You’ll actually be able to watch it live when it does fly past, thanks to Northolt Branch Observatories. Daniel Bamberger of Northolt said on his Facebook page that the object had been imaged twice.